Do you sell any parts for this? Do you sell the plastic glide? Do you sell the end caps that go with this bar? Which handshower works with this glide bar? How does the handshower attach to the sliding piece? Thank you for your question. Delta Faucet model # 55511-PK will need to be paired with a pin shower arm mount and then any Delta Faucet handshower and hose will work. Models U4301-PK, U5002-PK, and U4002-PK will all work with this glide bar. 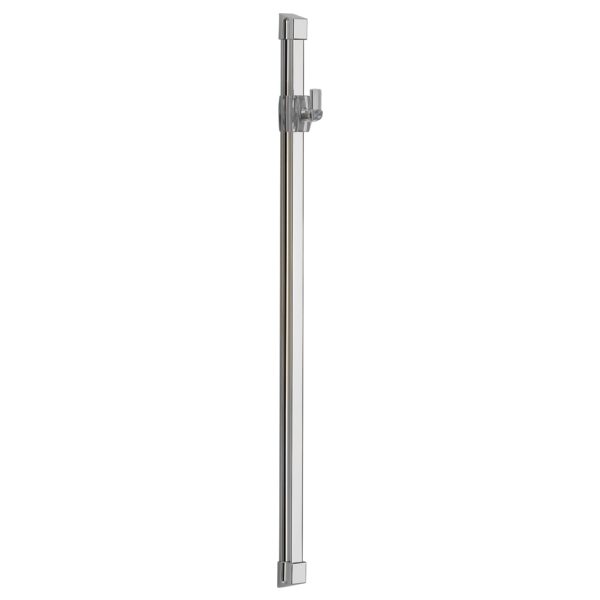 Do you sell a Glide Rail Wall Bar with a brushed nickel or brushed steel finish? It looks like this product is only offered in chrome. Are there other options in brushed nickel or brushed steel?